Eye-catcher: Ashley Chaudiere has fitted her GT with matching eyelashes to accentuate her pop-up headlights. 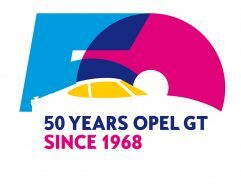 50 Years Opel GT: Ashley Chaudiere from the US state of Washington is the owner of the probably most female GT. 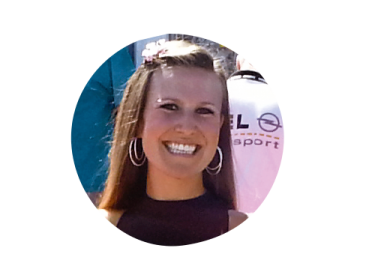 Ashley Chaudiere, from Bonney Lake, a small town to the south of Seattle, Washington, isn’t your typical 31 year old. “I’m a little bit different and proud of it,” she says about herself. Her favorite hobbies include hunting big game and fishing for salmon and halibut. 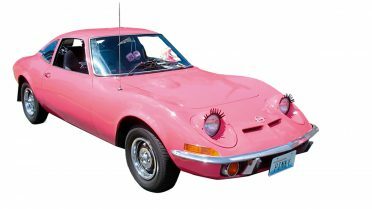 She loves hiking, ice hockey, and her very first car – an Opel GT that she’s been driving for 15 years. She has had it painted in her favorite color and gave it a fitting nickname: Miss Pinky. 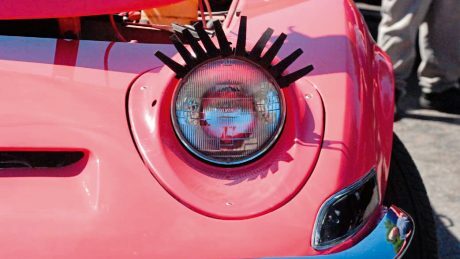 Pretty in pink: Chaudiere has been driving her GT across the northwestern part of the U.S. for 15 years. PLACE OF RESIDENCE USA Bonney Lake, Washington, U.S.
ENGINE Not the original 90-PS engine: An engine rebuild with a stronger camshaft and an upgraded Weber carburetor was needed after 107,000 miles on the road. The engine now delivers higher compression and a bit more power. Miss Pinky has never been wrapped up in cotton wool. Ashley drives ‘her’ the entire 125-kilometer journey from Bonney Lake to neighboring Canada every week – and that’s just one-way. This is where she pursues her second passion: ice-skating. “Trying to fit all of my equipment in Miss Pinky is an interesting daily challenge.” Ashley is an ice-hockey player and a figure skater. She also teaches ice-skating, coaches for the Washington Ice Emeralds Synchronized Skating Organization, and takes part in competitions as part of the Adult Synchro Team. 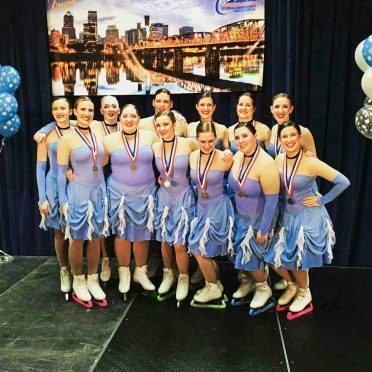 Out on the rink: When she’s not driving her GT, Chaudiere is usually out and about with her figure skating team. 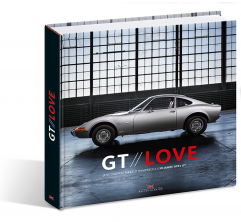 The portrait of GT fan Ashley Chaudiere is part of „GT LOVE: 50 Jahre Opel GT“, published by Delius Klasing Verlag.